After demonetisation, the government of India has taken several steps to ensure that no hardship is faced by the tourism industry. Archaeological Survey of India (ASI) smoothly transitioned into cashless modes of payment by simplifying the process of e–tickets. Government efforts have paid dividend as there has been a notable growth in the comparative figures of Foreign Tourists Arrival (FTA), Foreign Exchange Earnings (FEEs) and online sale of e–tickets after demonetisation. Thus, demonetisation did not have any severe impact on the Foreign Tourist Arrival and Foreign Exchange Earnings which, instead, have shown robust growth; a growth of 13.6% in Foreign Tourist Arrivals (FTAs) in December 2016 over the same period in 2015. The highest percentage share of Foreign Tourist Arrivals (FTAs) in India during December 2016 came from the USA (18.33%), followed by Bangladesh (13.02%), UK (11.71%), Australia (5.43%), Russian Federation (4.18%), Canada (4.13%), Malaysia (3.38%), Germany (2.80%), China (2.53%), Sri Lanka (2.25%), Singapore (2.12%), France (2.01%), Japan (1.79%), Afghanistan (1.38%) and Nepal (1.34%). A total of Rs 16,805 crore of Foreign Exchange was earned through tourism in December 2016 as compared to Rs 14,152 crore in December 2015. This growth in the tourism industry has come about after the introduction of the E-Visa facility in India. The number of Foreign Tourist Arrivals on e-Tourist Visa (e-TV) from January to November 2016 was 917,446, registering a growth of 168.5% over the same period as the previous year, indicating success of the e-TV Scheme. Due to this high growth, the e-TV was extended to 161 countries. One of the forerunners in taking advantage of this facility was the UK, which accounted for over 22.4% of e-Visas during December 2016. To further boost the e-Visa facilities, Ministry of Tourism and Culture launched pre-loaded sim cards for tourists arriving in India on e-Visas. Speaking on the subject, tourism Minister Dr. Mahesh Sharma said that “this unique initiative will facilitate the foreign tourists in communicating with their acquaintances immediately after their arrival in India. Earlier, Ministry of Tourism had also launched a 24 x 7 Tourist Helpline 1800111363 in twelve foreign languages so that foreign tourists can get the required information in their own language”. This initiative has been launched in association with Bharat Sanchar Nigam Ltd (BSNL). BSNL would distribute the pre-loaded SIM Cards to foreign tourists arriving in India on e-Visas. This facility will be initially available in the Indira Gandhi International Airport (T3 Terminal) in Delhi and later the remaining 15 international airports would be covered. To take advantage of the pre-loaded sim cards, BSNL will collect e-Visa copies and the first page of passport from foreign tourists on arrival at the airport. 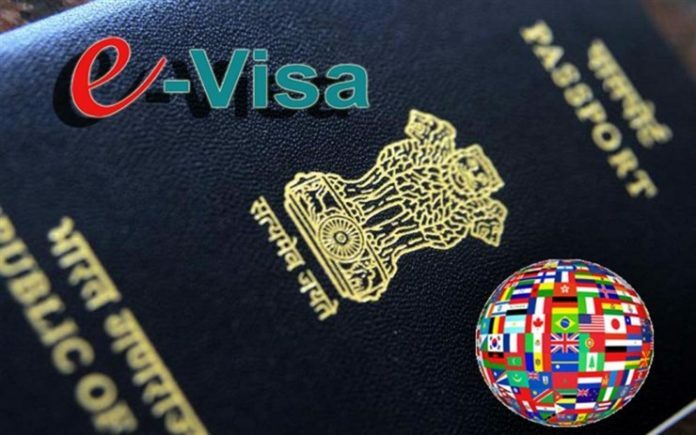 This facility will only be available for tourists arriving in India on an e-Visa. Sim cards will be pre-loaded with a value of Rs 50 talk time, 50 MB data and will be activated on immediate basis to enable them to instantly use the facility. This initiative is also aimed at providing connectivity to foreign tourists to enable them to stay in touch with their relatives. It also helps in assisting contact with the 24/7 multilingual charge-free helpline from the Ministry of Tourism, providing any assistance and guidance during times of distress or in a medical emergency. This move is a great gesture by Tour Operators who believe that this small gesture can provide a big boom for the tourism industry.